Culture matters for startups. For a startup to succeed, it must have a culture that reflects what it wants to achieve. This is one of my areas of expertise. I've spent the past decade focusing on Y Combinator's culture. Here I'm going to tell you what I did and what I learned. 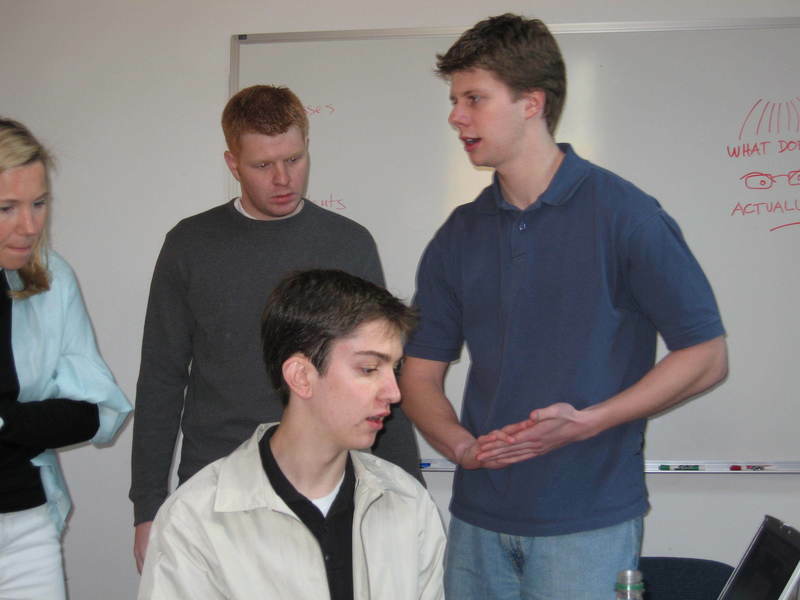 People and culture have played an important role at Y Combinator from the very beginning. And I was the one responsible for these things from the very beginning. Most people don't know this–both because I prefer to operate in the background and because culture is not as visible to the outside world as what a company does functionally. "Softer" stuff like values, culture and community is often ignored by the press, and more dangerously it's also sometimes ignored by founders. Maybe that's because it doesn't seem exciting, or it's too touchy-feely, or it can't be measured. Or maybe when you're trying to solve a technical problem that's never been solved before, company culture seems a secondary consideration. But company culture starts when it's just two people working on an idea at the kitchen table. In my experience, the founders who start to care about their culture the soonest also tend to be the ones who build the best companies. In fact, the reason YC has deliberately never offered office space to founders is precisely because of this insight: the founders of individual startups drive the culture from a very early stage and this culture needs to grow organically in the startup's own space. Here I'm going to explain some things about the origins of Y Combinator's own culture that I've never really shared before. One of the reasons I've never talked about this is that YC's culture was largely my creation and I didn't want to seem to be bragging. But if you understand my story, you'll understand what Y Combinator really is. Y Combinator is two things: it's a new structure of investment firm, but it's also a collection of people, both founders and partners. That collection of people has largely been curated by me over the last decade. My cofounders Paul, Robert and Trevor are amazing at judging technical ideas, but as they'd be the first to admit, they're not as good judges of character. That's my department. For some reason I've always been a good judge of character–even as a little kid. So during the history of YC, for the most part they judged the ideas, and I judged the people. My cofounders called me "the social radar" for what seemed to them my uncanny ability to see through fakers and sociopaths. But it has historically been very important in making YC what it is. The last step in YC's funding decisions is an in-person interview with YC partners. Now we have 5 interview tracks, so I only see about 20% of the applicants. But for the first 6 years we had a single interview track, and I was always part of it. In fact my cofounders respected my opinions about character so much that it would not be far off to say that I had a veto over funding decisions. Most of the people we interviewed didn't realize that, because I don't usually say much during interviews. What I do during interviews is watch. The typical interview consisted of my cofounders peppering the applicants with technical questions, while I watched how they responded. Most applicants barely realized I was there. But after they walked out, my partners would usually turn to me to get my read on the applicants as people. I didn't always understand the details of the questions they'd been asked and to this day I can't tell you about operating systems or distributed databases, but I can tell things like when people are BSing, how tough they are, if they get along, and surprisingly often, considering I only have 10 minutes to observe them, whether they're good people or not. As I said, Paul, Robert and Trevor are really good at technical stuff, but it's precisely because they're so good that they often misjudged founders as people. They'd get excited talking to the applicants about all the things they could do, and afterward think the interview went well, when sometimes all the applicants did was reflect their own ideas back at them. But it was second nature to me to notice these things. It's obvious why we'd want to fund founders who are knowledgeable and determined. But I also found myself filtering for character. This was not a deliberate decision. I just have a very intense reaction to people I think have bad characters. Before Y Combinator, character had not traditionally been an important factor for investors. Investors have often funded people who were jerks but who seemed likely to succeed. But I couldn't do it. YC is not just an investment firm. It's like a family in that we're inviting these people into our place to have dinner every week. But while this innovation was unintentional, or at least involuntary, it turned out to be super valuable for Y Combinator. As YC has grown, an increasing amount of the value is in the alumni network. Now there are over 2000 alumni. And the fact that we've filtered out most of the bad people means that they're almost all nurturing and trustworthy when newly funded YC companies approach them. Starting a startup has traditionally been a lonely business. Imagine what it means for there to be literally 2000 people who'll come to your aid if asked. We continue to filter for character even now when we have 5 interview tracks, because now this has become part of YC's culture. And while we have of course made some mistakes, for the most part when you meet a YC founder, you're meeting someone you can trust. They say that institutions are the shadows of the founders, and that aspect of YC is part of my shadow. 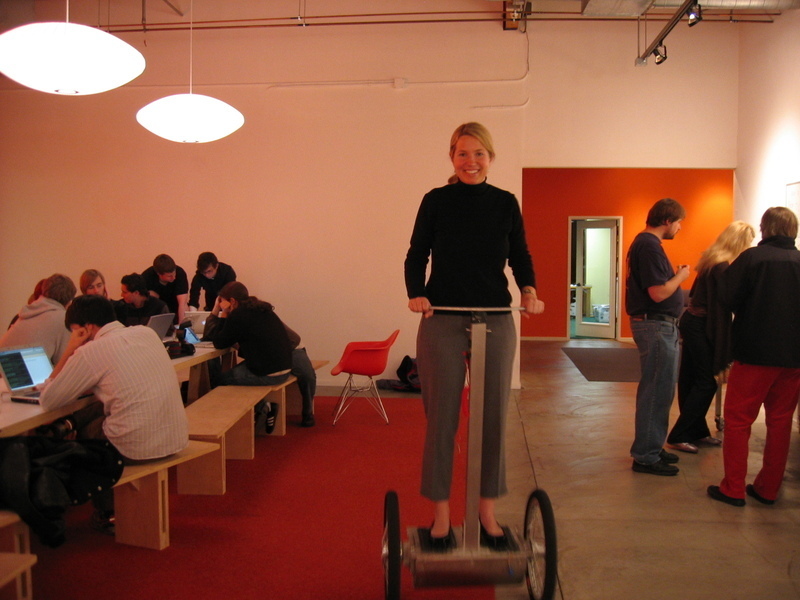 Another area where I had a big effect is the atmosphere at Y Combinator. Before YC, atmosphere was not something investment firms even had. They just had portfolios. But YC was different because after selecting founders we brought them together for dinner every week. the buzz of walking into Y Combinator on Tuesday evening, and the general energy/excitement of the founders. That's what comes to mind for me when I think of YC, and it's what I describe to others when they ask why they should do YC. The atmosphere at YC dinners today is the direct descendant of the atmosphere at the very first dinners we held, back in the summer of 2005. There were only 8 companies then. I did the grocery shopping and Paul did all the cooking, and our first headquarters was in a building Paul owned and had been using as his office, so it felt as if we were inviting people over to our house each week. We had a fireplace at the office and I'd sometimes build a fire. I'd also splurge on fancy cheeses from a nearby gourmet cheese shop. It was basically a dinner party for friends. This feeling has inevitably been diluted as Y Combinator has grown. There are 116 startups in the current YC batch, and YC now has its own 12,000 square-foot building, so it can't feel quite as much as if founders are coming over to our house for dinner. But it still feels a lot more intimate than you would imagine an event for 116 companies could ever be. One of the reasons it still feels like home is that the same architect who made our first headquarters has done every space since: Kate Courteau. She's part of the family and she knows we want to keep that family feeling. It's amazing what's she's been able to achieve. You walk into our new building and it simultaneously feels magnificent and homey. Paul once wrote an essay called "Do Things that Don't Scale." The idea is that even if you want to be big, when you're small you should give your customers a level of attention you can only give them when you're small. This will set your standards for customer service very high, and you'll be able to maintain those standards better than you'd expect as you grow. We followed our own advice at YC, and one of the most important things we did that didn't scale was to treat the founders as if they were family. It was easy to do that during the first batch. There were so few founders. Plus in the beginning the founders were mostly young, because they were the only ones who'd apply to something like YC. So we literally felt like their parents. I knew where everyone was from, what was going on in their lives, and worried about stuff like whether they were getting enough vitamins in their diet. Perhaps even more importantly, we did not expect those startups to make money. YC has been so successful since then that it's hard for people to realize, but the first batch of startups we funded was just for us to learn how to be investors. We quickly realized that funding startups in batches was a great idea and that we should do all our investing that way, but the first batch was just an experiment that we expected to lose money on. And since we thought of that first batch as a sort of nonprofit social project, it affected the way we acted toward the founders. It was natural for us when advising companies just to ask "what's best for the founders?" Even our original investment paperwork was novel in how founder-friendly the terms were. We didn't ask for the sort of special powers investors usually ask for, and still don't. This is one of those counterintuitive things about startups, but one of the keys to being successful is not to be too immediately driven by money. Mark Zuckerberg is a good example. If he'd been driven by money, he'd have taken Yahoo's billion dollar acquisition offer back in 2006, and you would probably not even recognize his name. After we saw how much it helped founders to have colleagues, we decided to do all our investing in batches. And gradually we started to have hopes that YC would make money. But by this time the idea of treating founders like family and putting their interests first had become part of YC's culture. And while it's harder to make 116 startups feel like family than 8, there's still a lot of that feeling. It might seem impossible for a group of over 2000 alumni to feel like family, but you'd be surprised at how much it does. And while this will inevitably seem corny, to the extent it does feel like a family, I'm its mom. Y Combinator doesn't end after Demo Day. The dinners end then, but we continue helping the startups for years after that. We still give advice to startups we funded 5 or even 8 years ago. Startups need different types of advice. Sometimes they're trying to figure out what to build, or how to grow. Other times they're dealing with more personal problems like whether to take an acquisition offer or whether they should fire an employee who isn't working out. Those are the questions I tend to give advice about. Being the "social radar" helps me get to the root of problems within startups just as it helps me to evaluate founders during interviews. Let me tell you something about startups. If you've ever started or worked for one, you're probably familiar with this phenomenon, but many people who haven't are surprised by it. Most startups, behind the scenes, are shitshows. Even the most successful ones. They mostly conceal this from the outside world, because they're trying to seem legit so they can get customers. But there are always disasters happening. I'd say around 10% of startups have life-threatening cofounder disputes, for example. So though this tends to be concealed from the world, the sort of problems I help founders with are probably both more common and more dangerous than technical ones. On top of my "social radar," I now have experience dealing with literally hundreds of startups. So now when I see a problem I've usually seen the same problem ten times before. It must seem to founders that I'm a mind-reader, but what's really happening is that their problems are less unique than they think. One of the most important things I know is how much to worry. Having dealt with hundreds of startups, I can look at a problem and tell founders immediately either "Don't worry, these are typical growing pains," or "you are now operating in failure mode and I have no hope for the company." And I think people trust that I'm not going to judge them the way some of their other investors might; they know I just want to help. Beyond giving practical advice, though, I think it helps founders just to have someone they can talk to. All people need someone to talk to, and early on, companies are people. Though we can't fund every startup, we do make an effort to open-source as much as we can of what we do for the companies we fund. For example, we try to host events that share the same kind of information that's shared at YC. And we are one of the few organizations that has always done the events for free, since we know startup founders don't often have a lot of money to spend on conferences. Now there is a group of us who work on events, but in the beginning I used to do these events singlehandedly. And we were remarkably ambitious about them. We did our first Startup School in the fall of 2005, when YC was only 6 months old and our portfolio consisted of 8 companies. In addition to events, we've created and open-sourced several types of investment documents, like the safe, to make it easier and less expensive for startups to get funding. Paul Graham has written lots of essays on helpful subjects for startups–many of which originated from advice he gave at YC. Sam Altman now writes a ton of great stuff, too. And Kat Manalac and I launched the Female Founder Stories site as a way to inspire and educate women about startups. We can't advise or meet with everyone, but we have always had a philosophy of sharing as much of what YC does with the world as we can. This is far from a complete list of the things I've worked on for the past 10 years, but you can see there's a lot to culture. Culture is not just a mission statement. It's which people you have in your organization, how you act within it, and even how you act to the outside world. And I can tell you from my own experience how important culture is. When outsiders talk about YC, they talk about its novel structure. But that's only half of what YC is. The other half is our people and culture. That's what I've focused on for the last decade, and that's the half of YC that no one else has been able to duplicate. "I'd say around 10% of startups have life-threatening cofounder disputes, for example." Is the life of the startup threatened or the life of a cofounder? Thanks for sharing. Culture is so hard to define and shape but it is the fundamental of business. Much more important than strategy - Culture eats strategy for breakfast as a wise man once said. Fabulous post Jessica! In a world that's sometimes seen as 'dog eat dog', it's wonderful that you're a shining, important , influential example of 'dog helps dog' - although I'm not comparing you to a dog! Loved your book and will be applying for YC this round - with ideas I've been working on for a long time. Nice article. I've been at one of YC's Demo Day back in 2010 and we were in a 1,000 square-foot room in Mountain View. Now you have a 12,000 square-foot building and that is a big change. I can only imagine how hard is to keep sharing the same family feeling of the early days. How do you manage this day-by-day? Jessica, thanks so much for doing this. There will always be things that people don't like about YC, but as far as it can go, I think you and the other YC people are doing something truly remarkable. This is amazing Jessica. Thanks for everything you do. I echo your sentiments about character, Jess. I've been in professional services firms or industry for my entire career (vs. start up environment) but the phenomenon is the same: if you can't judge someone's character effectively and don't have that "social radar" that you bring to decision making, there will be payback down the road for sure. I'm stunned at how many hiring managers make poor hiring decisions which negatively impact the culture of their team, and subsequently undermined the business results they achieve. Marcelo Echeverria upvoted this post. 49 visitors upvoted this post.